Intestate succession means succession to title to property in accordance with Chapter 852 of the Wisconsin Code. Sec. 851.11. To the spouse or domestic partner. Sec. 852.01(a). If there are no surviving issue of the decedent, or if the surviving issue are all issue of the surviving spouse or surviving domestic partner and the decedent, the entire estate. Sec. 852.01(1)(a)1. The decedent's interest in marital property. Sec. 852.01(1)(a). The decedent's interest in property held equally and exclusively with the surviving spouse or surviving domestic partner as tenants in common. Sec. 852.01(1)(a). To the issue, per stirpes, the share of the estate not passing to the spouse or surviving domestic partner, under par. (a), or the entire estate if there is no surviving spouse or surviving domestic partner. Sec. 852.01(1)(b). If there is no surviving spouse, surviving domestic partner, or issue, to the parents. Sec. 852.01(1)(c). If there is no surviving spouse, surviving domestic partner, issue, or parent, to the brothers and sisters and the issue of any deceased brother or sister per stirpes. Sec. 852.01(1)(d). 1/2 to the maternal grandparents equally if both survive, or to the surviving maternal grandparent; if both maternal grandparents are deceased, to the issue of the maternal grandparents or either of them, per stirpes. Sec. 852.01(1)(f)1. 1/2 to the paternal relations in the same manner as to the maternal relations. Sec. 852.01(1)(f)2. If either the maternal side or the paternal side has no surviving grandparent or issue of a grandparent, the entire estate to the decedent's relatives on the other side. Sec. 852.01(1)(f)3. Escheat. If there are no heirs of the decedent, the net estate escheats to the state to be added to the capital of the school fund. Sec. 852.01(3). Wisconsin is a community property state. Any person of sound mind 18 years of age or older may make and revoke a will in the State of Wisconsin. Sec. 853.01. Every will in order to be validly executed in Wisconsin must be signed by the testator, by the testator with the assistance of another person with the testator's consent or in the testator's name by another person at the testator's direction and in the testator's conscious presence. Sec. 853.03(1). It must be signed by at least two witnesses who signed within a reasonable time after the testator signs or acknowledges the will (or testator's signature) in the presence of the witnesses. The two witnesses may observe the signing or acknowledgement at different times. Sec. 853.03(2). A will may be simultaneously executed, attested and made self-proved by the affidavit of the testator and witnesses or self proved after execution in the same manner. The affidavit must be made before an officer authorized to administer oaths under the laws of the state in which execution occurs and must be evidenced by the officer's certificate, under official seal. Sec. 853.04. A beneficiary means any person nominated in a will to receive an interest in property other than in a fiduciary capacity. Sec. 851.03. If property is transferred to a beneficiary under a statute or under a provision in a governing instrument that requires the individual to survive the decedent and it is not established that the individual survived the decedent by at least 120 hours, the individual is considered to have predeceased the decedent. Sec. 854.03(1). A will is revoked in whole or in part by a subsequent will that is executed in compliance with Wisconsin law and that revokes the prior will or a part thereof expressly or by inconsistency. Sec. 853.11(1)(a). A will is revoked in whole or in part by burning, tearing, canceling, obliterating or destroying the will, or part, with the intent to revoke, by the testator or by some person in the testator's conscious presence and by the testator's direction. Sec. 853.11(1m). A divorce, annulment or similar event revokes any revocable dispositions of property made nominations or powers granted by the decedent to the former spouse or a relative of the former spouse. The former spouse and relatives of the former spouse are treated as if they died immediately before the divorce, annulment or similar event. Sec 854.15(3). The decedent has the right to name a personal representative of his or her estate through a validly constructed will. A personal representative mean any person to whom letters to administer a decedent's estate have been granted by the court or by the probate registrar, but does not include a special administrator. Sec. 851.23. Petition for administration of the estate of a decedent and admission to probate may be made by any person named in the will to act as personal representative or by any interested person. If none of those named has petitioned within 30 days after the death of the decedent, petition for administration may be made by any person who was guardian of the decedent at the time of the decedent's death, any creditor of the decedent, anyone who has a cause of action or who has a right of appeal which cannot be maintained without the appointment of a personal representative or anyone who has an interest in property which is or may be a part of the estate. Sec. 856.07(1). If for any cause, a personal representative is not appointed in an estate at the hearing on appointment, the court at the hearing shall appoint a special administrator to administer the estate until a personal representative is appointed. Sec. 856.27. Any person, other than a person named in the will to act as personal representative, having the custody of any will must, within 30 days after he or she has knowledge of the death of the testator, file the will in the proper court or deliver it to the person named in the will to act as personal representative. Sec. 856.05. When a petition for administration is filed, the court must set a time for proving the will, if any, for determination of heir ship and for the appointment of a personal representative. Notice of hearing on the petition will be given to any interested person (including an interested person represented by a guardian ad litem). A copy of the will, which is being presented for proof, must be sent to all interested persons, except those whose only interest is as a beneficiary of a monetary bequest or a bequest or devise of specific property. To those persons a notice of the nature and amount of the devise or bequest must be sent. Sec. 856.11. The personal representative, within a reasonable time but no later than six months after appointment, unless the court has by order extended or shortened the time, must file an inventory of all property owned by the decedent. The inventory when filed must show, as of the date of the decedent's death, the value of all property, what property are marital property and the type and amount of any existing obligation relating to any item of property. Sec. 858.01. When a married person dies, quasi-community property which is the deferred marital property estate is available to the surviving spouse. Sec. 861.02. The family allowance is awarded at the discretion of the probate court but may approach $10,000. Sec. 861.41. Other tangible personalty not used in trade, agriculture or other business, not to exceed $3,000 in inventory value. However, the selection may not include items specifically bequeathed except that the surviving spouse or surviving domestic partner may in every case select the normal household furniture, furnishings, and appliances necessary to maintain the home. For this purpose antiques, family heirlooms, and collections that are specifically bequeathed are not classifiable as normal household furniture or furnishings. If it appears that claims may not be paid in full, the court may, upon petition of any creditor, limit the transfer of personalty to the spouse under this section to items not exceeding $5,000 in aggregate inventory value until the claims are paid in full or the court otherwise orders, or the court may require the spouse to retransfer property in excess of $5,000 or, at the option of the spouse, pay the excess in value over this amount. The surviving spouse may select items not specifically bequeathed of the type specified under sub. (1) (a) 4. exceeding in value the $3,000 limit or obtain the transfer of items exceeding the limit set by the court under sub. (2), by paying to the personal representative the excess of inventory value over the respective limit. The personal representative has power, without court order, to execute appropriate documents to effect transfer of title to any personal property the spouse selects under this section. A person may not question the validity of the documents of transfer or refuse to accomplish the transfer on the grounds that the personal representative is also the surviving spouse of the decedent. Sec. 861.33. Provisions for the family of the decedent. Reasonable and necessary expenses of the last sickness of the decedent, including compensation of persons attending the decedent. All debts, charges or taxes owing to the United States, this state or a governmental subdivision or municipality of this state. Wages, including pension, welfare and vacation benefits, due to employees which have been earned within three months before the date of the death of the decedent, not to exceed $300 in value to each employee. Property assigned to the surviving spouse or surviving domestic partner. All other claims allowed. Sec. 859.25(1). Any person named in the will as the personal representative or any interested person may petition for summary settlement of the estate. A court may summarily settle the estate of a deceased person without the appointment of a personal representative whenever the estate does not exceed the value of costs, expenses and claims against the estate or whenever the estate does not exceed $50,000 after all debts have been paid. Sec. 867.01. If the governing instrument is a will, property subject to intestacy. Residuary transfers or devises under the governing instrument. General transfers or devises under the governing instrument. Specific transfers or devises under the governing instrument. Sec. 854.18(1)(a). The Wisconsin estate tax equals the total amount of the federal credit. Sec. 72.02. Therefore, there is no current estate tax. Wisconsin only offers taxpayers a standard deduction. In addition, a taxpayer must add to their federal adjusted gross income any amount deducted under Sec. 170(i) of the Internal Revenue Code (relating to deduction of charitable contributions by individuals who do not itemize deductions). Sec. 71.01(13), 71.05(6)(a)(7). 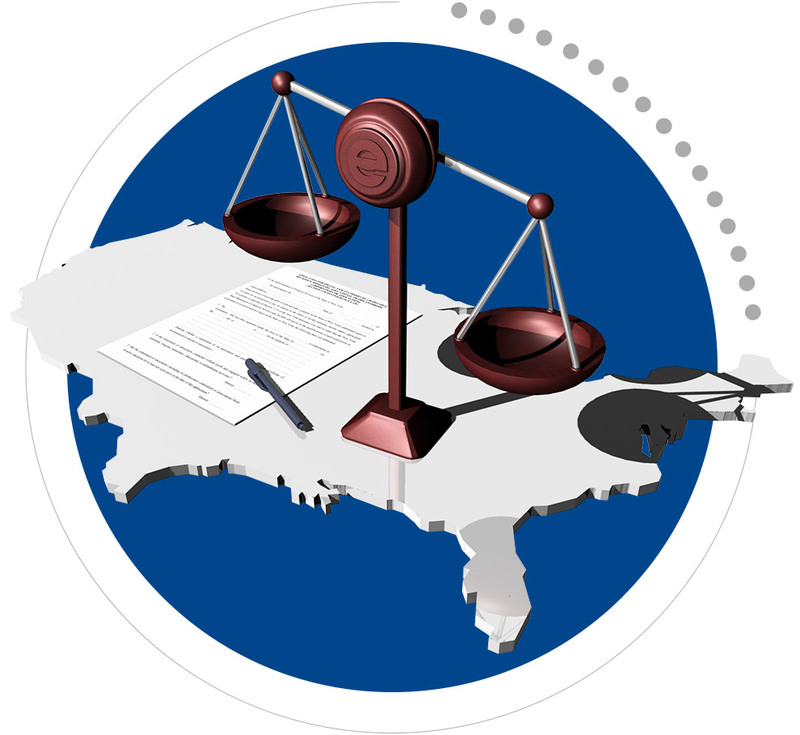 On April 16, 2014 Wisconsin enacted 2013 Wisconsin Act 271 (the "Act"), which is now codified in WISCONSIN STATUTES � 632.65. Effective April 18, 2014 a charitable gift annuity is no longer an insurance product in Wisconsin. Wisconsin is now a conditional exemption state. CGAs are no longer subject to regulation by the Commissioner of Insurance in Wisconsin and are not protected by an insurance guaranty fund or insurance guaranty association. Gift annuities are no longer subject to regulation under WISCONSIN STATUTES �� 600-646. In addition, there is no longer any requirement to apply for a Certificate of Authority before issuing charitable gift annuities in the state of Wisconsin, to maintain a segregated gift annuity reserve fund or to file annually with the Commissioner of Insurance. Under the Act, a charity must have been in continuous existence for at least three years (or is a successor or affiliate of a charitable organization that has been in continuous existence for at least 3 years) before the charity can issue CGAs. In addition, the annuity must be a qualified charitable gift annuity as defined in � 632.65(1). Finally, all gift annuity contracts written after April 18, 2014 must include the disclosure language stated below under the heading "Disclosure Language." If a qualified charitable gift annuity was issued in Wisconsin before April 18, 2014 and is still in existence then the issuer of that contract must provide notice of the new law to any donor/annuitant who is a Wisconsin resident. In general, the notice should include a disclosure similar to the disclosure required in new annuity contracts. As of April 18, 2014 it is no longer required that you apply for a Certificate of Authority to issue gift annuities in Wisconsin. "A qualified charitable gift annuity is not insurance under the laws of this state and is not subject to regulation by the commissioner of insurance of this state or protected by an insurance guaranty fund or an insurance guaranty association." For gift annuity contracts written before issued before April 18, 2014 you must notify Wisconsin donors/annuitants of the change in Wisconsin law. As of April 18, 2014 there is no longer a requirement that you maintain a segregated reserve fund for Wisconsin gift annuity reserves. As of April 18, 2014 there is no longer a requirement to file annually with the Wisconsin Office of the Insurance Commissioner. As of April 18, 2014, no state specific forms are required to be filed with the Wisconsin Commissioner of Insurance.